Due to severe weather, the long-anticipated UAA Championships have been condensed from three days to two. The meet, originally set to take place in Atlanta, has been divided between two locations. The swimmers will make accommodations by traveling to Cleveland while the divers will still compete at Emory in Atlanta. Competition in Atlanta will take place Friday and Saturday, while the events in Cleveland will happen on Saturday and Sunday. Upon learning of the schedule changes, the team expressed confusion and frustration. Last minute adjustments force the athletes to adapt, mentally and physically. 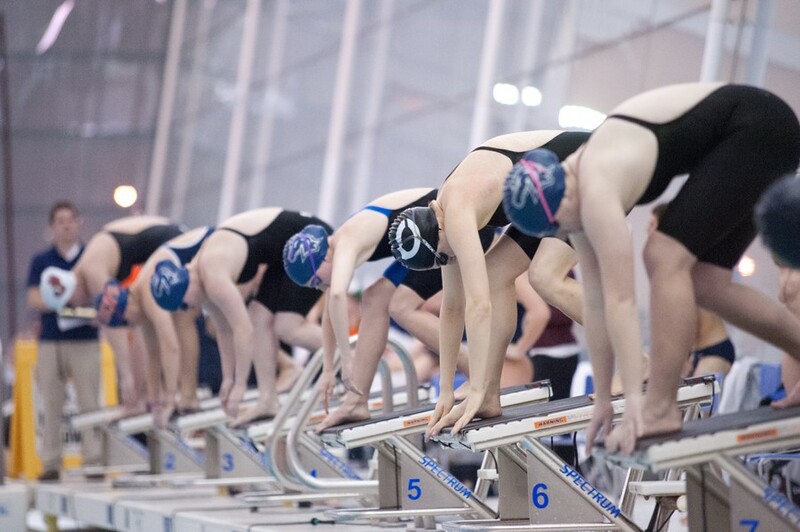 “This means the event order is completely different, and we’re cramming more into a shorter period of time, which has various implications for the amount of rest we get,” said fourth-year swimmer Vivian Yuen. Despite initial concerns regarding logistics, the swimmers and divers have adjusted mentally and refuse to let the changes affect their focus. Their unrelenting work ethic and subsequent athletic progress seem to be the common factors ensuring they maintain a positive attitude. “We’ve been training so hard and we’ve faced a lot of adversity this year. UAAs always brings out such a great competition mentality, that I believe that this will actually make us even more focused,” fourth-year Cathy Chen said. Third-year captain Sofia Gross agreed. “We’ve all trained too hard to let this meet complication get in the way of our training, dedication, and commitment this season,” she said. The swimmers are not used to competing without the divers to support them and the same is true of the divers regarding the swimmers. However, knowing there is encouragement in both Atlanta and Cleveland is reassuring, according to Gross, who will be competing with fellow divers in Atlanta. The results from both cities’ meets will be compiled to determine team rankings and individual All-UAA records. The athletes who receive NCAA A- or B-cuts this weekend will continue to train for nationals in March. Competition in Atlanta begins at 10 a.m. today for divers, while the swimmers take their mark at 9 a.m. ET on Saturday in Cleveland. The Maroons will host the Midwest Invitation the Friday and Saturday after UAAs, at which time the athletes not selected for the conference team will compete.